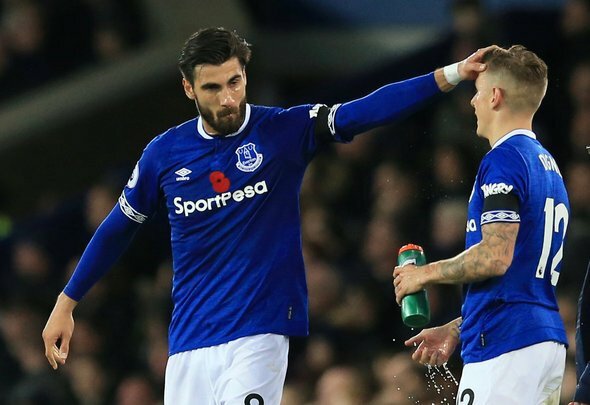 Everton lost 2-0 away at Fulham on Saturday and it could yet get worse for them with retrospective action on Andre Gomes, according to former Premier League referee Dermot Gallagher. “I think he may well be getting a call from the FA today,” Gallagher said on Ref Watch (Sky Sports, Monday, 11.50am). This seems pretty clear cut in what was a bad tempered game at Craven Cottage. It was completely unnecessary and there’s not even a shred of an argument that says he was going for the ball. Gomes was lucky to get away with it in the game – if the ref had seen it he’d have been off – but he won’t be so fortunate afterwards. We’re not entirely sure how players think they’re going to get away with something like that with cameras recording almost every angle of every tackle on the pitch. It was a pretty shocking result for Everton, against a team who had only won four games before Saturday, and Marco Silva will likely now have to do without an influential player when the FA makes its ruling. It was a big chance to leap into seventh in the league with Leicester losing on Friday, but now they’ll drop to tenth if Watford get anything out of their game against Arsenal tonight.